A social media post is closely related to the time it posts. It will get the maximum exposure only if you share on the peak time which varies based on the geographical location of your target audience. In short, we can say that success of a campaign depends on the keywords you use plus the time of posting. Facebook page owners can easily schedule a post via built-in features. But unfortunately, the social network doesn’t allow you to schedule a profile update for a future date. It can be scheduled until the current moment or backdate. So we should use third-party tools to overcome the limitation of the default schedule feature. Buffer is a well-known app to schedule and market your contents. 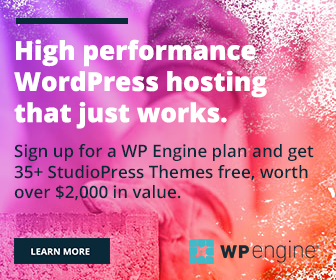 It is a great asset to your promotional activities that lets you schedule Twitter retweets and Pinterest pins as well. Facebook group scheduling is another advantage of Buffer app. 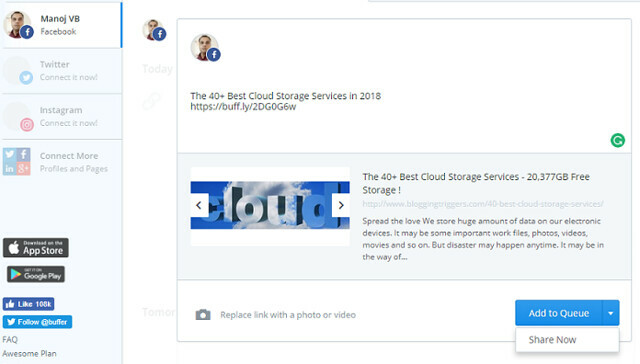 You can schedule posts on own Facebook groups to automatically share them at a choosen time. After connecting with your Facebook account, visit Buffer dashboard to configure your content. Choose your Facebook profile from the left pane and enter your message or campaign link in the main area. Buffer will automatically convert the link using own shortener tool which will make your post more professional. Once it fetches preview of your post, click the blue color Add to Queue button to schedule. Buffer will share the link at the best time to get maximum results. To assign own schedule, visit Settings tab from the right end of the screen, choose Posting Schedule and add a time slot. Change time zone if needed. Buffer is very flexible where you can set different time zones for different accounts to manage your marketing operations. Install Buffer’s Android, iOS apps to create campaigns, set schedule from a smartphone. SocialPilot is a powerful companion for the marketers. 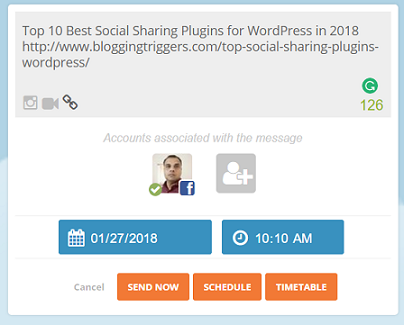 Use it to schedule and promote contents across Facebook profiles, pages, groups, Twitter, LinkedIn, Google+, Pinterest, and Tumblr. Connect your Facebook account, Open Posts menu from the left pane and select Create Post option. Enter your message in the box. 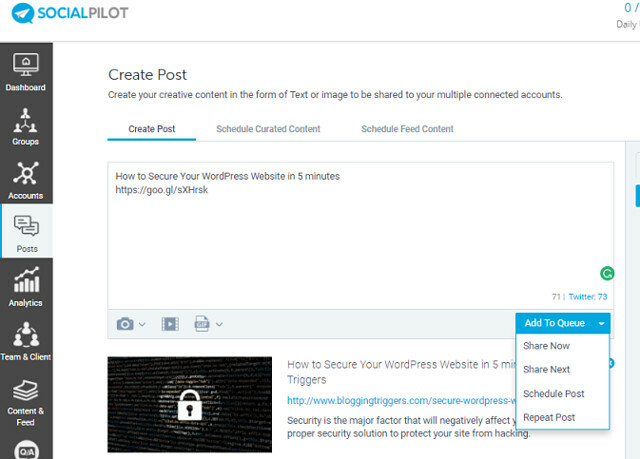 SocialPilot is able to convert the links either to goo.gl or bitly within a few moments. Don’t forget to select your Facebook profile from the right pane. Once you finished, hit the drop-down arrow of Add to Queue button on the bottom to view additional options and set. Visit Accounts > Manage Accounts > click on the Account name to manage its queue schedule individually. You can manage the campaigns anywhere on the go via Android, iOS apps, Chrome, Firefox, Safari extensions. Twittimer is a simple app to schedule Twitter tweets and Facebook profile updates. You can post status messages, link post, photos and videos on the Facebook wall using the scheduler. Enter your text in the message box, set date, time and hit the schedule button. That’s it!